Northfield Farm Ltd is an active farming business, rearing and finishing on our farm on the Rutland Border Rare and Traditional British breeds of beef, pork and lamb. Most of our livestock has lived outdoors, free-ranging and largely grass-fed. 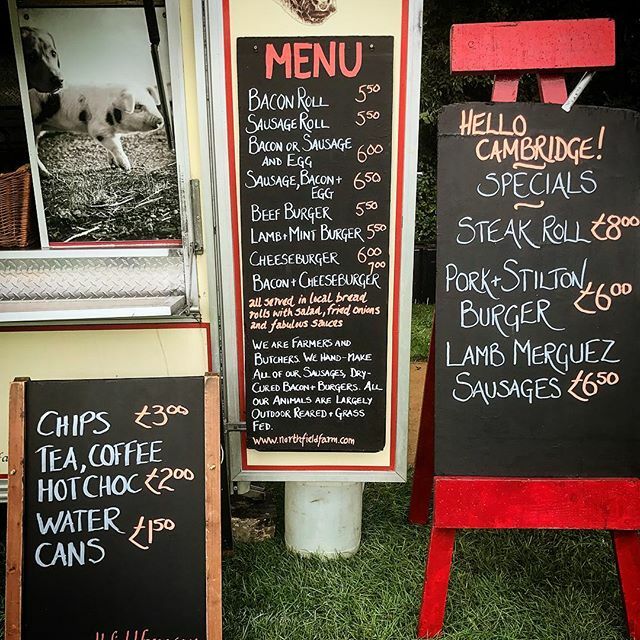 From our delicious meat we hand-make all of the burgers, sausages and dry-cured bacon available on our catering trailer. 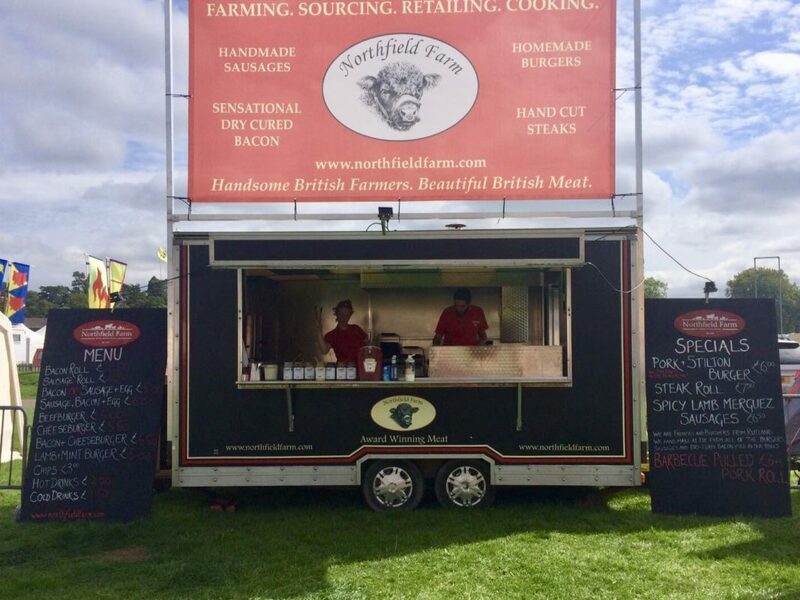 Northfield Farm is a multiple award-winning producer of fine food, with numerous awards for our sausages, home-cured dry-cured bacon, salt beef, Mutton, Pork and Beef joints. Many of these are available on our catering trailer. Our free-range eggs are from a farmer in the neighbouring village of Whissendine. Our bread rolls for shows come from Bakeries local to the show we are attending. Salads and onions come from local vegetable wholesalers. All other produce and accompaniments are the best quality we can source – Cheddar from Somerset, Pickles and Mustards from Tracklements in Wiltshire, and Tomato Ketchup from H J Heinz …. 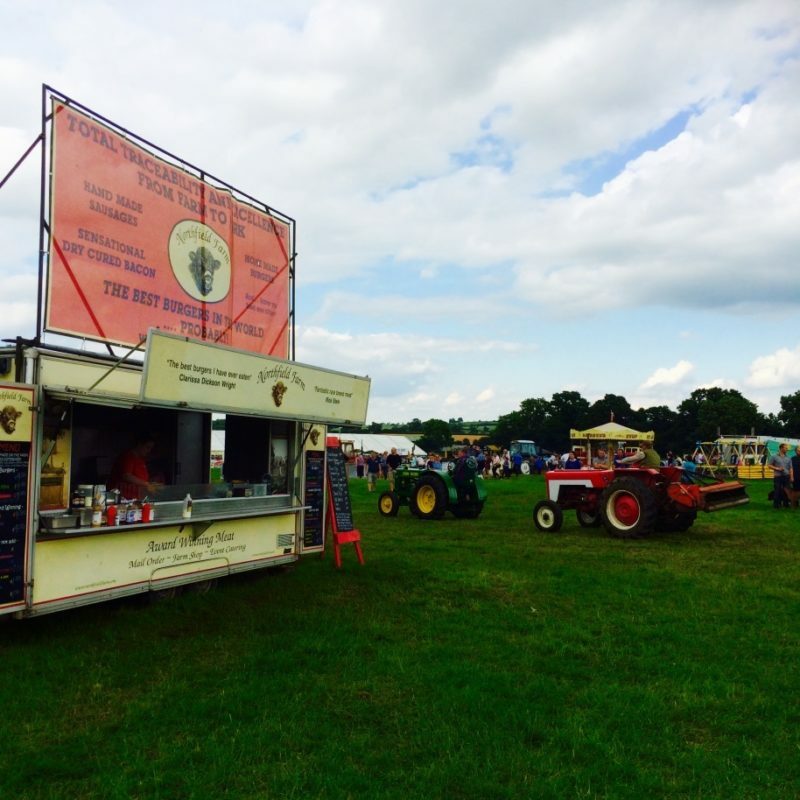 We travel the country throughout the year, catering at agricultural shows, music festivals, sports venues and private parties. Contact us if you would like us to cater at your next celebration or party.